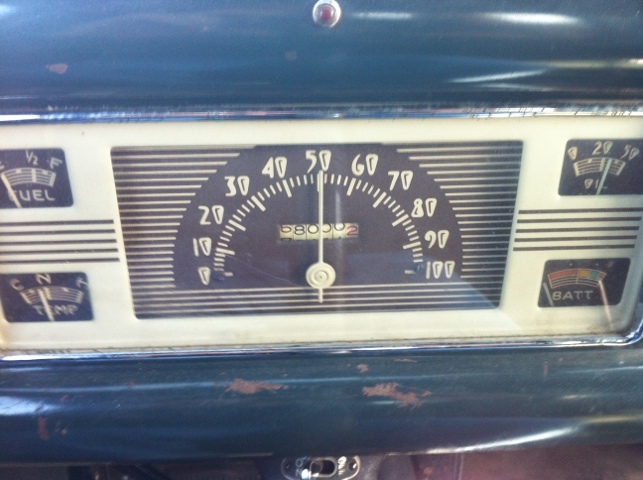 I’ve been trying to roll some miles in the truck to work out bugs before the Pete & Jakes open house, May 12. I hadn’t realized it until the other day, but due to travel schedules with high school graduations and stuff, I may not be able to make the run to KC this year. We’ll have to play that one by ear. This past Wednesday, I rolled 68,000 in the ’40 truck. It’s only been a little over 500 miles that I have driven it, so far, but it was a milestone for me! One of the projects that I have been putting off was putting something on the wooden stake sides of the bed. 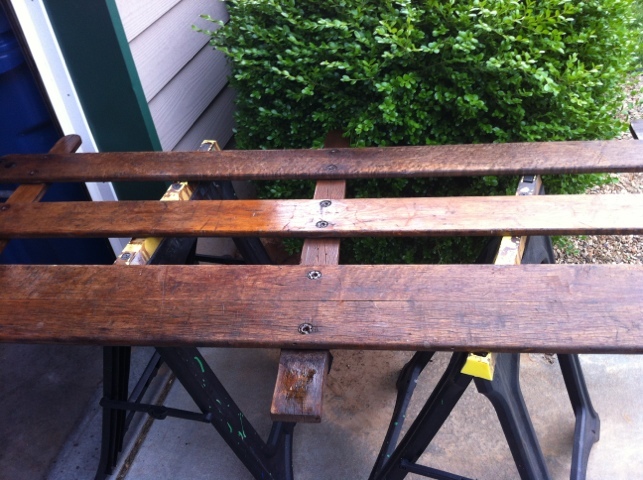 I finally picked up a quart of teak oil and went to town spreading it on the rails. I’m amazed at how thirsty the wood was! I barely finished the front section and one side before my quart was empty. Had to make a run for a second, so I went ahead and got a third while I was there. 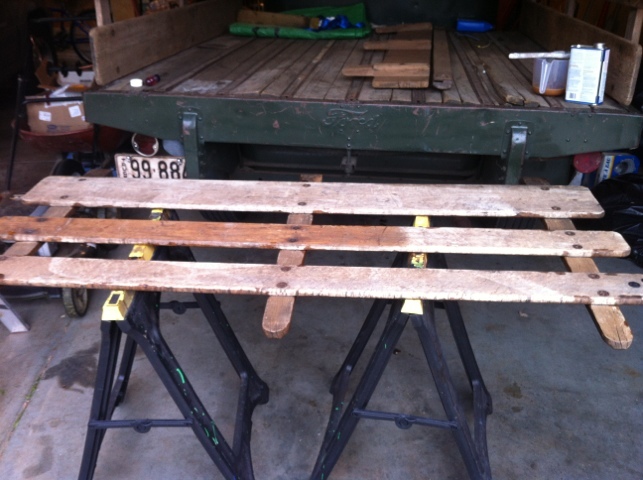 I got the three sides done as well as the single wood cross support for the back end. I still have the full back section to finish, but it sure did make a difference in the look of the wood. I haven’t gotten it out of the garage yet, so I can see it in the daylight, but that will happen tomorrow! Will post pic’s then. Wow…I can’t think straight enough to have proper paragraph structure, so I’m calling it quits for this post!